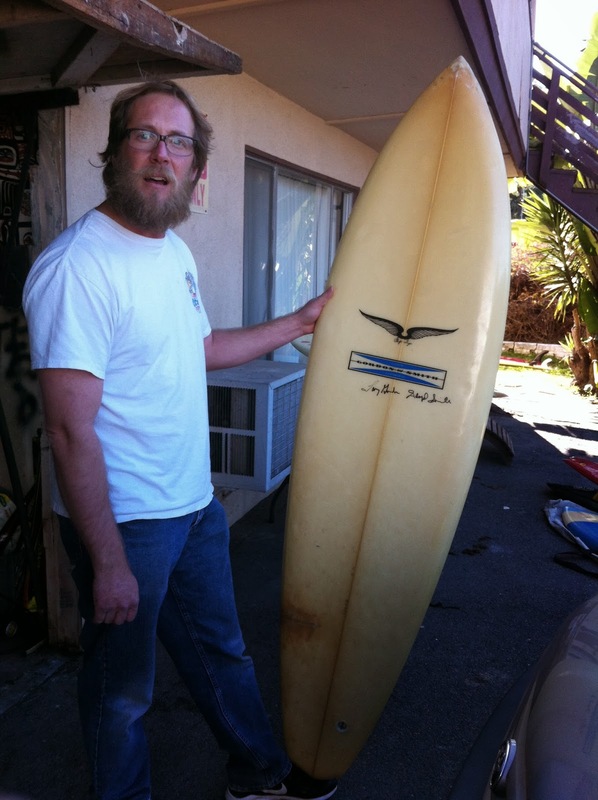 : Board Collector: Skip Frye collector / rider / obsessive. I was visiting my friend in San Clemente when our talk turned to Skip Frye, so he broke out his early 70's Skip Frye shaped G&S single fin. 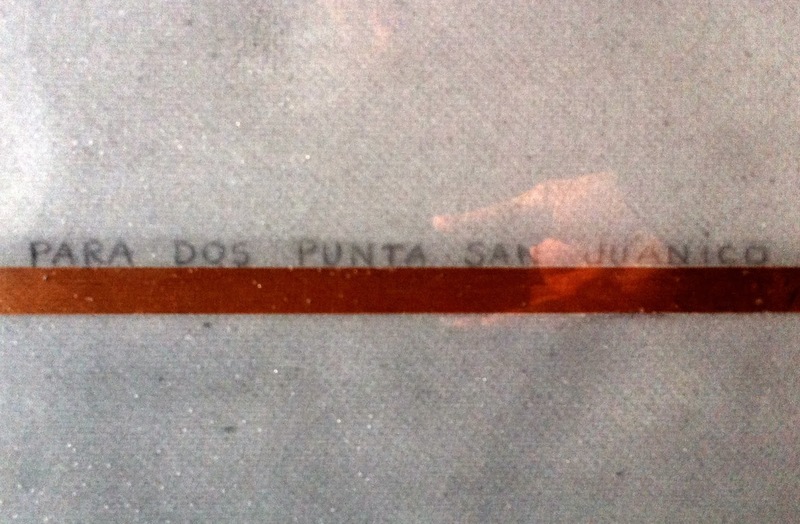 Skip Holds a revered, almost saintly spot in Californian surf culture. The stereotypical Socal blond headed ray ban wearing life long dedicated surfer of the 60's, the shy and retiring Skip went on to develop his own unique and highly influential style of surfing that won him some big name contests and carved a place for him in the American surfing psyche. 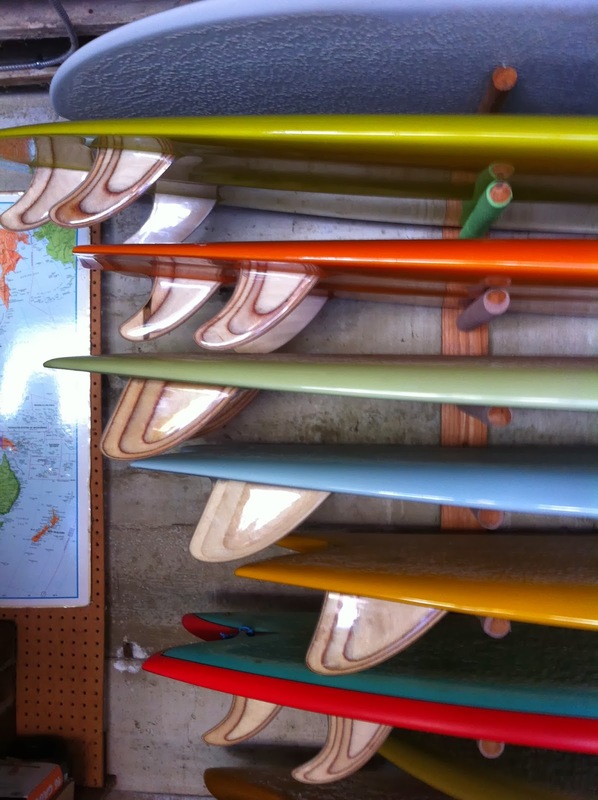 His unique style was also reflected in his board shaping and he went his own way to create, thin, flat shapes designed to capture as much 'trim' as possible. 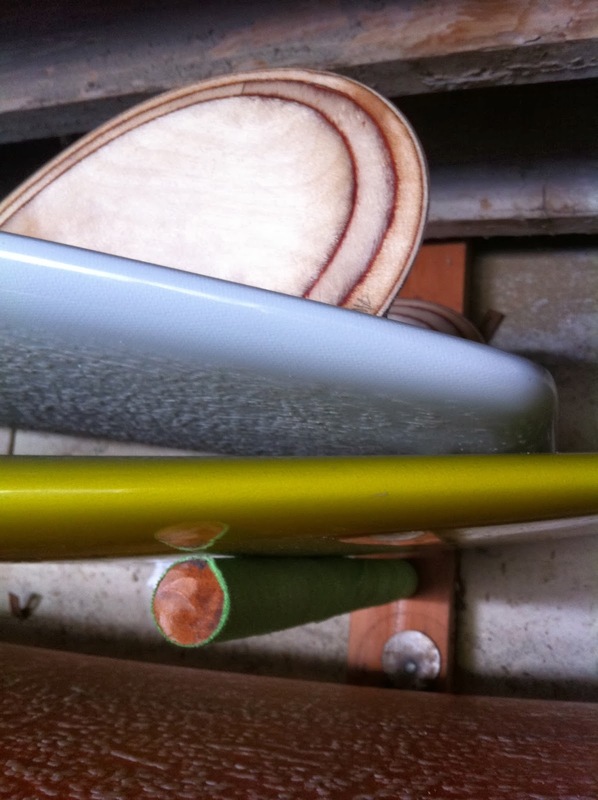 Geoff let me handle his lovely Skip Frye shaped G and S single fin that he has recently signed by Terry Martin. 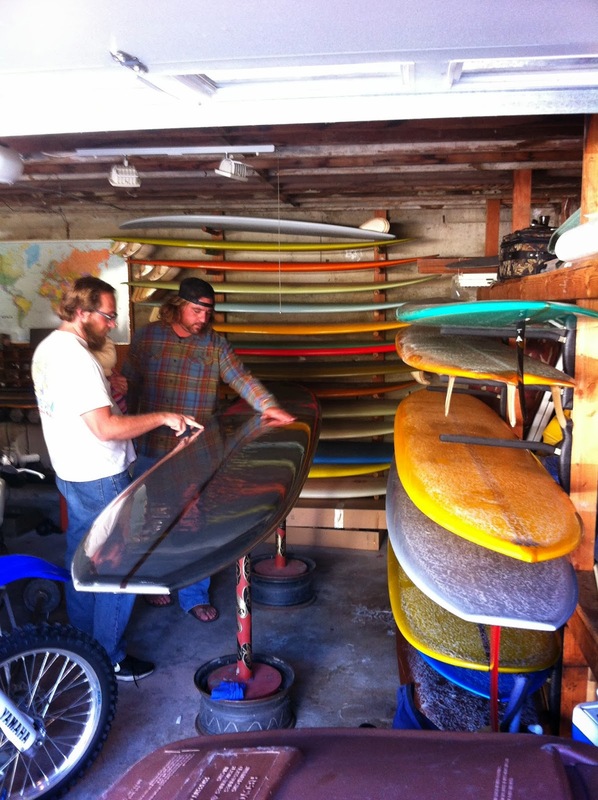 Skip started his shaping career at G and S where he spent the 60's and part of the 70's before going out on his own. literally at that moment, a garage door opened across the street and Geoff said 'follow me'. We walked into an Aladin's cave of Skip's. His fanatically dedicated neighbor had collected more than 25 wooden fined thin railed Skype Frye trim machines. Derek Hynd. Skip Frye twin fin fish. Photo by Andrew Kidman. I really admire focus and dedication in a collector. This guys commitment to chasing 'trim' and Skip's work is something to behold. 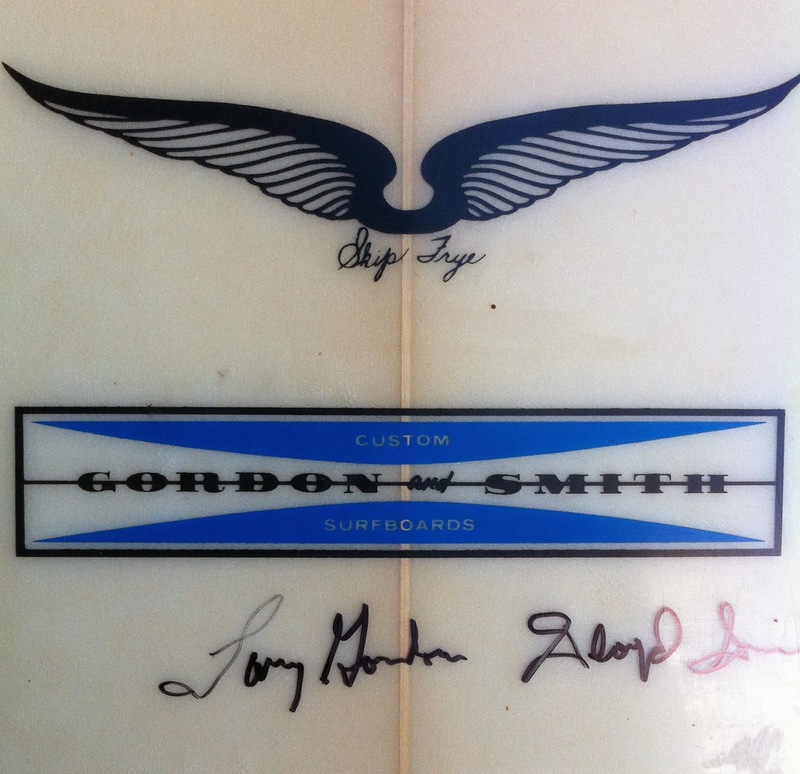 One of the unique signatures to Skip's shapes are his hand foiled fins and keels. 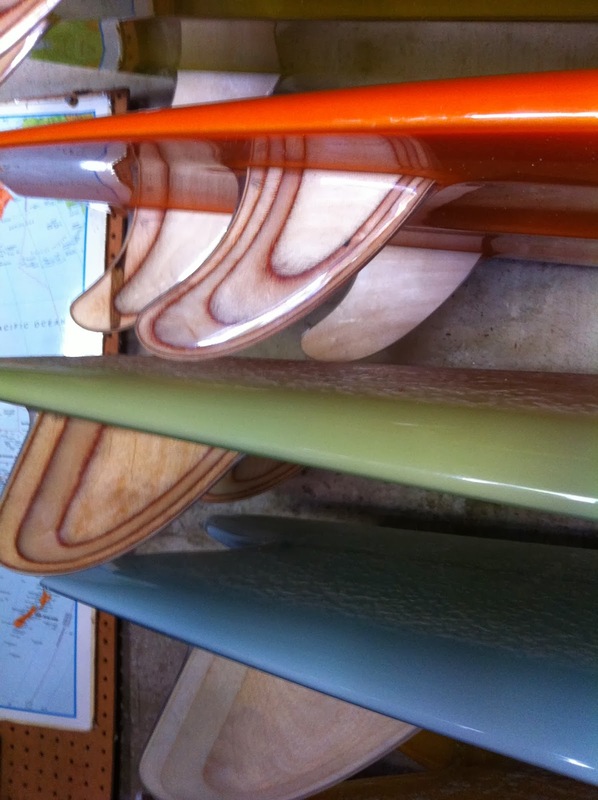 and the one and only, Skip Frye designed disc keel. The highly sort after, hand drawn Skip logo. Steve! Bro's stash is legendary.